The nightclass is aimed at those just starting out with digital photography as well as those that may have had a Dslr camera for some time, but need to get up to speed with it. I have found that many just leave their cameras on Auto Mode and struggle to get a decent photo much of the time. The intention is to move you on from using Auto Mode and to get comfortable with all the other modes available to you. 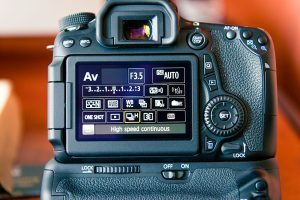 You will become familiar with all camera settings and have a better understanding of composition, aperture, shutter, manual mode, ISO, depth of field, metering as well as lots more. The classes are informal and not theory heavy. I provide access to online notes after every class. We cover a different aspect each week and it is hoped you will get a chance to put this into practice before the next class. I have online tutorials that will reinforce what we do each class. These are exclusive to people attending and may be printed out if needed. After the five weeks, you will have a greater understanding of your camera and photography in general. I am always available via text, Facebook or email to answer any questions you have.